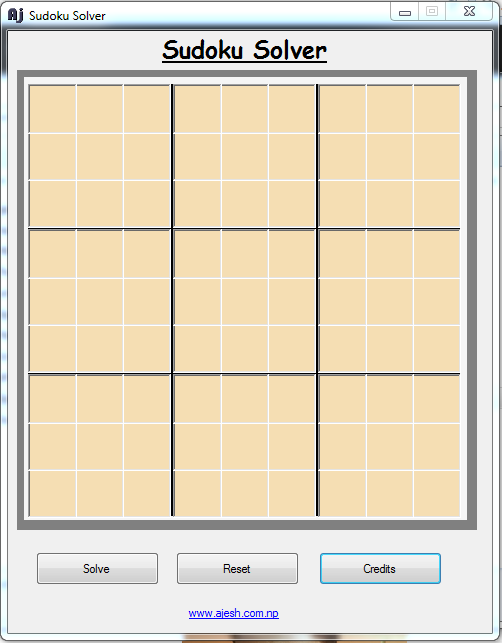 Soduku solver is a software that allows you to solve the 9x9 soduku problem. This soduku solver solves any difficult problem within a second. It uses depth first search recursive technique for solving problem. This software is user friendly and helps solving the problems. The name SuDoku is Japanese and can roughly be translated as "single number". 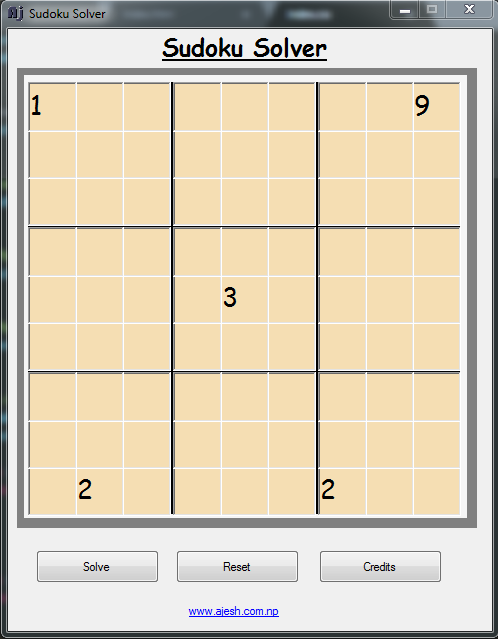 The game SuDoku has been popular in Japan since the mid 1980s but has only recently become popular in the rest of the world, triggered primarily by the publishing of SuDoku puzzles in British newspapers starting November 2004. 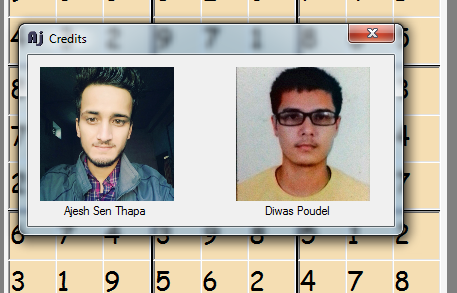 The rules are simple, fill a 9 by 9 cell grid such that the numbers 1 to 9 appear once only in each row, column and box. A box is a 3 by 3 grid of which there are 9 in the main grid. There are apparently 6 trillion possible solutions. To be uniquely solvable a puzzle must have at least 17 initial numbers. The degree of difficulty of a puzzle depends on the number of initial numbers given and their distribution. As a rule of thumb, 24 initial numbers constitute a very difficult puzzle, whereas 48 numbers constitute a simple puzzle. 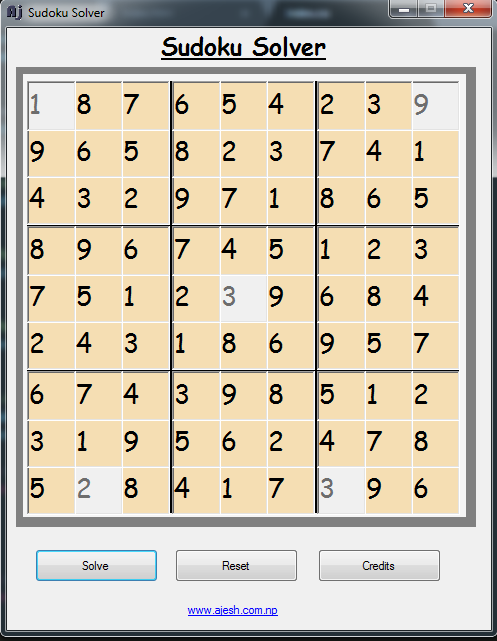 A valid Sudoku has a unique solution which can be found using an array of solving techniques without the need to guess.